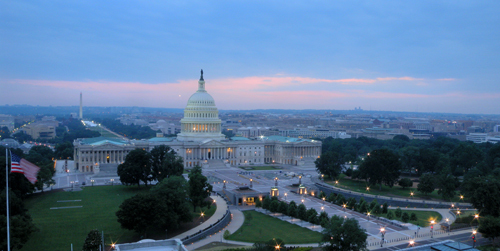 Congress has adjourned session for the 2010 midterm elections. Facing an anti-incumbency mood and a lingering recession, you can understand the urgency for Congress to get out of Washington. Unfortunately, they left town without addressing some important issues. The U.S. government starts a new fiscal year today. There are 13 different appropriation bills that determine how the government is going to spend money in the coming year. None of them have been enacted into law. Additionally, there is the matter of what is going to happen to tax rates on January 1, 2011. The tax rates that were implemented in 2001 (i.e., the Bush tax cuts) will expire on December 31, 2010. If Congress does nothing, taxes rates will revert to the 2000 levels, resulting in a tax increase for all taxpayers. You may have opinions about whether the current tax structure should be extended, allowed to expire or some combination thereof. There are lots of political and economic issues, ideas and opinions of what is best. Aside from these issues, one this is clear, uncertainty is not helping people. My clients continually ask what is going to happen, and all that I can say is that no one knows. It’s impossible to predict what will happen, if anything, in the lame duck session. Based on my experience, one thing is clear; the continued ambiguity is not good. A natural human response to uncertainty is to delay action, while you try to gain clarity and minimize risks. This certainly applies to business decisions. It’s hard to commit to aggressive expansion or major capital expenditures, if you don’t know what the future holds, and waiting is probably not beneficial for the overall economy. As a tax advisor, I’m advising people to delay certain decisions and actions. From a tax perspective, postpone your decision if you can, which is what a lot of people are doing. There is always uncertainty in life, business and taxes. However, Congress has created a level of unnecessary angst. This situation wasn’t suddenly sprung on them. They have known for 10 years that the Bush tax cuts would expire, yet they continued to defer action. President Obama and the Members of Congress lament the slow pace of economic recovery, but do they recognize that some of their actions are not contributing to a recovery? To the extent that their inaction on tax policy creates uncertainty, which slows economic growth, they have no one to blame but themselves. The lame duck session won’t start until November 15th. Thanksgiving is just 10 days later, which will mean another recess. In all probability, Congress won’t resolve the tax question until December, less than 30 days before the end of the year; not much time to plan and prepare for the coming year. Payroll administrators are concerned with their ability to update software in time for the changes that will need to be implemented by January 1. Do you assume that rates will go up and start programming for those changes? If the law changes in December will you have time to re-program everything for the new law? Do you invest time and resources planning for something that may not happen? Elections are important and Members of Congress should have time to campaign. However, they should also be responsible enough to complete their work in a timely manner. Not all decisions are easy or popular, but that’s what they are elected to do. Their inaction on the appropriation and tax bills may be good for their political careers, but it’s bad for taxpayers, the economy and the country.